If you care about someone, there is no better way to show it than a fruit basket. It's healthy, it's tasty, it's beautiful - always! 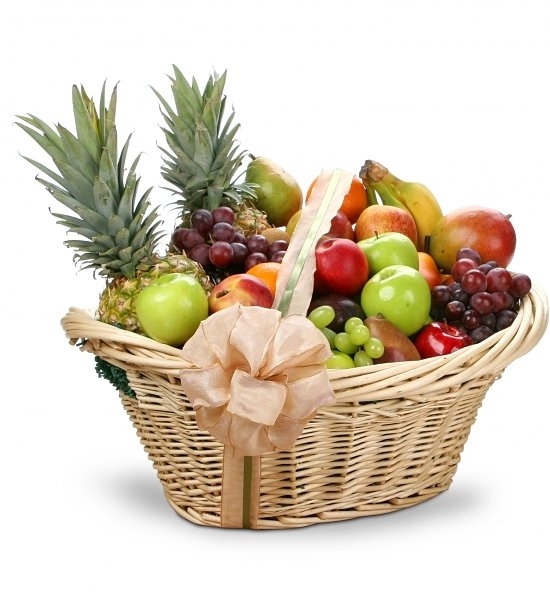 A variety of un-cut fresh fruits arranged in a basket to your loved ones to enjoy at their pleasure!! Arranged in a practical basket with a beautiful bow, this gift will be great for any holiday, and it will be able to turn any regular day into a holiday as well! PLEASE NOTE: Basket shape & basket size, design and colour may vary according to size order. The basket was delivered on time as promised. The fruiy was plentiful and of the highest quality I highly reccomend. We gave this as a getting better gift to our employee and he loved it. Very good price, best produce and it looked very impressive, like we cared. :) Will keep ordering!